Business Litigation - The Cartwright Law Firm, L.L.P. - The Cartwright Law Firm, L.L.P. The Cartwright Law Firm has developed a worldwide reputation as a comprehensive business litigation and arbitration practice. The Cartwright Law Firm has developed a worldwide reputation for our work in comprehensive business litigation and arbitration practice. We represent clients in trade, contract and finance matters, as well as oil and gas litigation, on a national and international level. We offer over 36 years of experience in business litigation, business torts and arbitration, with an emphasis on complex litigation and business property damage actions. We provide legal representation to businesses ranging from small, locally owned companies to multinational corporations. The firm provides strategic business planning services to start up companies as well as established partnerships and corporations, and we can guide you through the complex process of starting a business to ensure that you and your company are protected from potential liability. As a business litigation firm, we strive to prevent litigation by utilizing strategic business planning. However, if arbitration or litigation becomes necessary, we will aggressively protect our clients’ interest in court. We provide both local representation to foreign entities conducting business in the state of Texas and representation to local businesses and corporations throughout the United States and the world. Our Firm has the experience, resources, and capability to handle international legal needs that range from international ventures to commercial cross-border agreements. 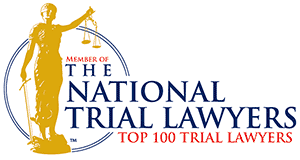 We have successfully represented thousands of clients involving complex legal issues involving jury trials, non-jury trials and arbitrations. Under the leadership of Mr. Cartwright, The Cartwright Law Firm has developed an extensive network of relationships with firms throughout the world to assist with “host” country legal issues. As a result, we are able to recommend and work seamlessly with in-country counsel to provide the best representation for our clients. For over 36 years, The Cartwright Law Firm’s business lawyers in Houston have successfully represented clients throughout Texas and the United States in the area of business torts litigation. Through strategic business planning, we seek to prevent business litigation in advance. However, when such litigation becomes necessary, the business tort attorneys at our firm zealously defend our clients and seek to ensure a fair settlement and resolution. To protect your rights, contact one of our business lawyers in Houston who focuses on business litigation and business torts with The Cartwright Law Firm today so that we can work for you. Hablamos Español. For a free and confidential consultation with one of our business lawyers in Houston who focuses on business litigation and business torts, call us today at 713-840-0950. Hablamos Español.